The 2018 CNU International Summer Session (ISS) started on May 3rd. 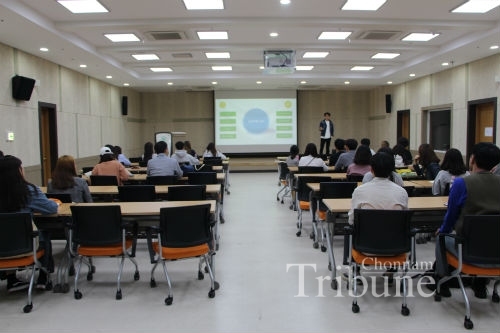 The Korean buddy students for the ISS international students from around the world received their first orientation in the seminar room located on the first floor at the G&R Hub building. The ISS aims to help students enhance their English language abilities and build international relationships while taking courses and experiencing world cultures. In 2018, about 150 foreign students from 16 countries will take various courses by CNU professors and invited renowned professors from foreign universities during the four weeks (June 27-July 23). 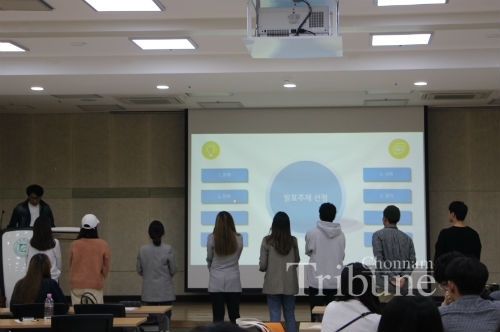 In the orientation, Korean students made groups and planned to make presentations about various subjects including Korean society and culture. Wi Sung-Kyung (Senior, Dept. 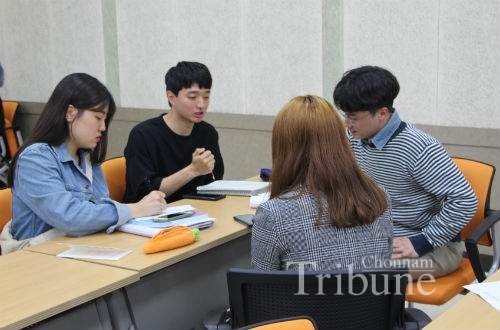 of Japanese Language and Literature), one of the Korean buddy students, said he wanted to develop his English skills and get the opportunity to share many things about Korea with international students. “My dream is to become a flight attendant or a Korean language teacher in other countries. By participating in this program, I think I will get a lot of experience for my dream,” he added.